The upcoming Irish title is set to film in Western Ireland from Summer 2017 and has been developed with the support of the Irish Film Board. Neeson (Taken) and Jordan (Byzantium) previously worked together on three films; ‘High Spirits’ (1988), ‘Michael Collins’(1996), ‘Breakfast On Pluto’ (2005). Jordan will direct a script penned by trio David Donohue, James Villemaire (The Coolest White Boy Ever) and ‘Sully’ Screenwriter Todd Komarnicki, who is also set to produce. Additional producers are Robin Gurland (Star Wars: Episode II - Attack of the Clones), Arthur Lappin (In America) and Gregory O’Connor. 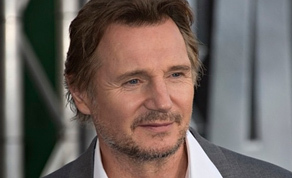 Neeson will portray racehorse trainer John Moore, who is beset by personal tragedy. He comes into contact with Nadya, a teenage refugee, who bonds with him over a horse named Allabelle. HanWay will be presenting this project to buyers at the American Film Market and Conferences (AFM). Earlier this year in April, Neeson and Jordan were reunited again for the presentation of the Irish Academy Award to Neeson for his Outstanding Contribution to Cinema, presented by Ireland’s President Michael D Higgins. The pair also came together to introduce the special IFTA 20th Anniversary Academy Screening of the iconic Oscar nominated ‘Michael Collins’, which received a standing ovation from a full house of c800 people at the historic SAVOY Cinema big-screen, no doubt a nostalgic experience for both Actor and Director for a beloved Irish film which has been remastered and rereleased this year. Other upcoming titles from Neeson include Martin Scorsese's 'Silence' about two Jesuit priests in the seventeenth century, and ‘A Monster Calls’, a fantasy children’s film from J.A. Bayona, in which he voices the The Monster which releases to Irish cinemas on New Year’s Day, 2017. Subscribe to IFTN's industry newsletter - it's free and e-mailed directly to your inbox every week.